Robert Langstrum was unpleasantly bored. He woke up to the most beautiful sunny day, with white puffy clouds peppering the bright blue sky. The trees shifted pleasantly from side to side, dancing to the soft breeze. 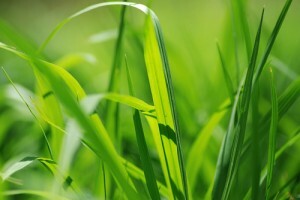 The grass was the very definition of green, gracefully crunching under bare feet with small drops of morning dew. Birds chirped merrily, but not too loudly as to be offensive to the ears; just pleasantly enough to add to the harmony of untouched nature. Everything was harmonious, everything was clean, untouched, pleasant, oh, so pleasant. Everything but Robert Langstrum. He shifted on his little white blanket, feeling the tips of broken grass under him. For a moment he wished one would pop through the fabric, prick his skin, draw blood, make his body itch, maybe swell with the allergy he used to have. But nothing so interesting happened. The grass bent under his weight and broke pleasantly. There’s that word again, Robert thought bitterly. Everything was pleasant, everything was so damn pleasant, even the taste of his own bile, creeping up in his throat every time he thought of the betrayal he experienced, even that was pleasant. There was no sickness here, no maladies, no pain, no itching or scratching or annoyance. Every day was perfectly pleasant. Every day was boring. Every day Robert Langstrum’s bitterness ate at the edges of his soul, digging further and further in, corroding his mind. He was betrayed; he was lied to, all his life, the extent of it making him dizzy every time he recounted the events that led him here, to this dreary boring meadowy place, to this wasteland of smiles. He was a good man, with a good heart, at least that is what they told him. He never did anything particularly adventurous, other than a single time as a child, when he decided to rescue a stray cat from the top of a lighting pole. He donated to charity, he followed the principles of his belief system, he believed in doing good and feeling good doing it. He helped his neighbors, he never cheated, he never lied. When he was in college, he never went to all those drug-parties his classmates enjoyed every week — and sometimes every other day. He never drank excessively, he never smoked, he never inhaled anything but pure air and some polluted one, occasionally, in the city. He was a good man, Robert Langstrum, and good men end up here. He stopped trying to meet the other good men and women around him. They were all gentle and pleasant. They were pleasant when they read their books or ate their perfect sandwiches or discussed the meaning of existence on their perfectly pleasant round white blankets that never stained. Their white robes were a perfect fit, the soft silk licking their skins pleasantly. Everyone was perfectly pleasant to one another, greeting each other with the same blissful expression and welcoming smile, day after day after day. Robert Langstrum watched them from his soft blanket under the pleasant tree that covered him with enjoyable shade, just cool enough to be pleasant. They were all oblivious to the deception, to the lie, to the biggest betrayal of their entire existence, all trapped in the most obnoxiously pleasant reality. He lied down, pressing his ear to the ground, and closed his eyes, concentrating, listening. His fingers dug through the gentle earth as he pressed harder, deeper, so he could hear it. So he could hear the sounds, the faint music, the shouts of joy, the clatter of a thousand drunk mouths. The sound crept up from the deep, long long ways below; the sound of sinful people doing deliciously sinful acts in the most unpleasant ways possible, enjoying every moment of it. He should have been there, he realized. He should have been with them, below, unpleasant, uncaring, unpleasantly unbored. But he was a good man, and good men end up here.